Earlier this week I had the good fortune of visiting the Seattle Wholesale Growers Market, located in a historic brick warehouse in Seattle’s Georgetown neighborhood. 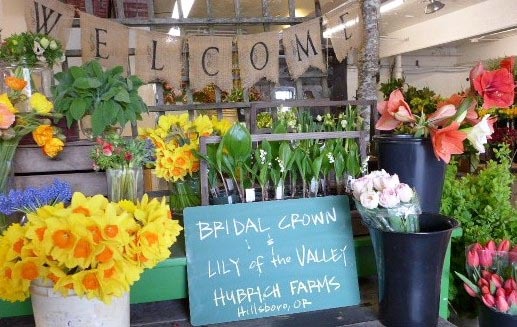 The Seattle Wholesale Growers Market is unique in that it’s a farmer-owned cooperative providing local sustainably grown and harvested cut flowers, greens, potted plants, woody products and ornamentals. Each week the farmers bring in a fresh selection of seasonal products to sell directly to local florists, stores and professional buyers. 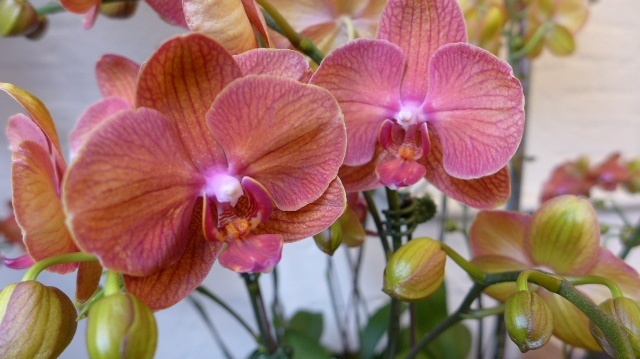 You’re not a professional florist or buyer? Well don’t despair, the market is open to the public, at retail prices, on Fridays from 10:00am to 2:00pm, so you too can get your fix of unique, locally grown flowers. 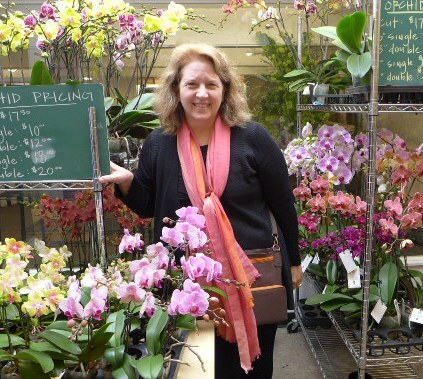 Lucky for me, Debra Prinzing, Seattle’s very own local flower advocate and author of The 50 Mile Bouquet and Slow Flowers: Four Seasons of Locally Grown Bouquets from the Garden, Meadow and Farm, chaperoned me on my very first (sure to not be my last!) visit. To say I was blown away by the selection and presentation of the market, would be an understatement. As you enter the market you’re instantly greeted by a colorful display of flowers with a welcome banner draped overhead. 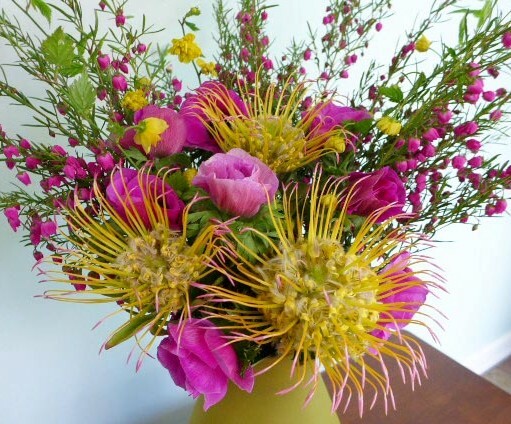 In every direction tables spill with vibrant blooms and frothy sprays of greenery. They recently expanded their floor space to include a back room dedicated to woody products. Large slab cut raw edged wood tables are loaded with forest products such as branches, twigs, and moss. A large arbor made of birch branches (just begging to be draped with garlands) sits in the middle of the floor. 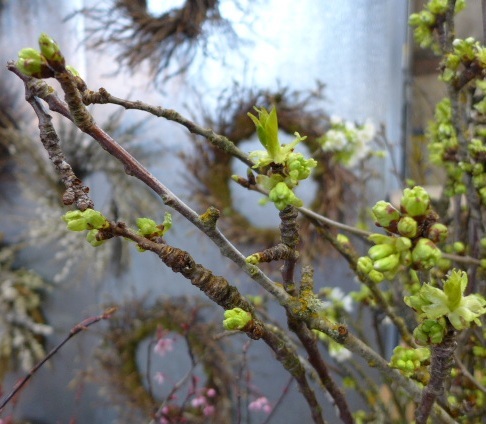 Twig wreaths hang from the walls, ready for purchase. 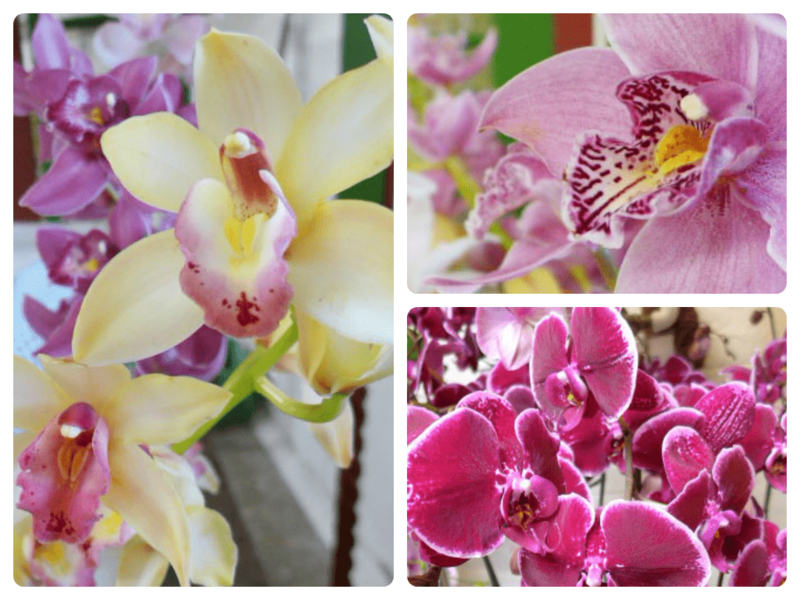 As you exit the woody plant area of the warehouse you pass the orchid and succulent room where very possible color of orchid is represented. 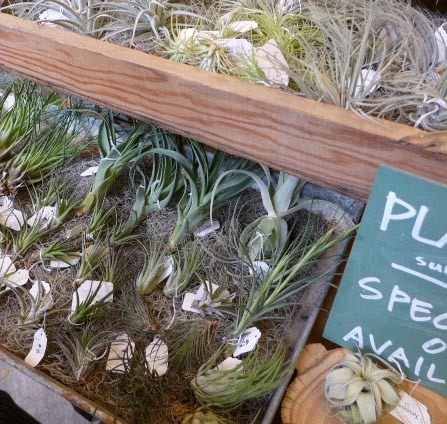 Arranging with succulents and tillandsia (air plants) is especially popular right now – and the selection won’t disappoint. 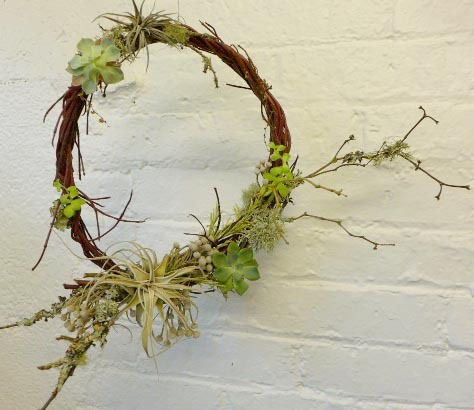 Here’s a gorgeous example of how succulents and tillandsia can be used together in a hand-made wreath by Rizanino “Riz” Reyes. They’ve done a fantastic job of not only displaying the flowers, but how the products can be used – making it so much more than just a warehouse full or flowers and inspiration easy to come by!! 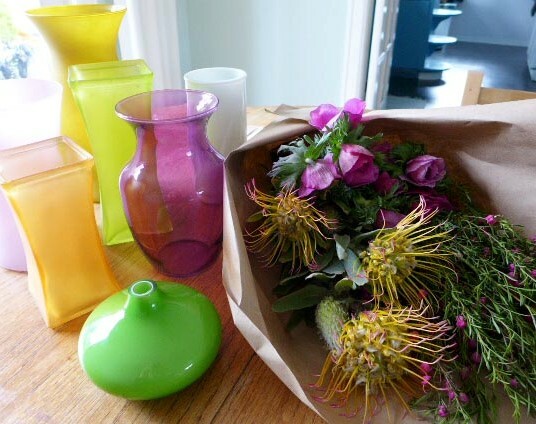 I left with a wild (what Debra called “vibrant”) selection of flowers. On my way home I stopped at the local Goodwill to purchase “a” vase for my flowers and wound up leaving with seven. 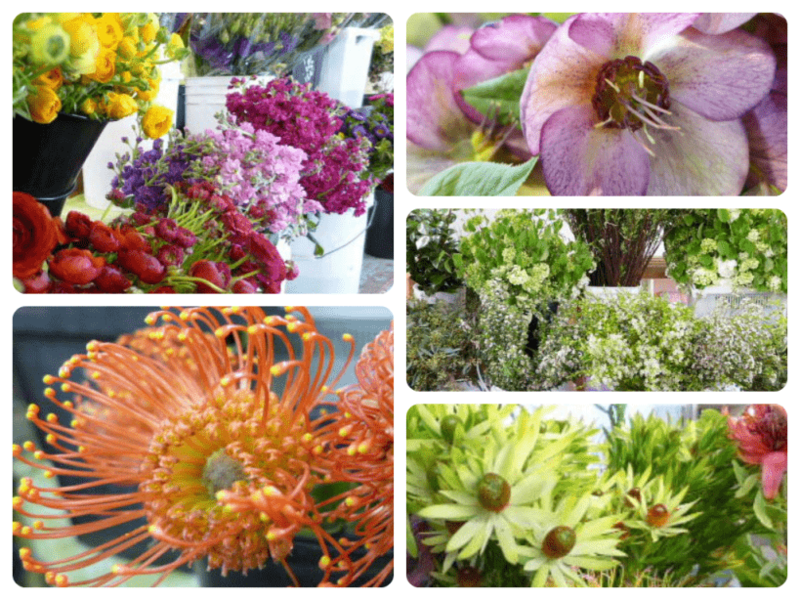 You see, I just know I’ll be returning to the Seattle Wholesale Flower Market again soon… and I need to be ready. Glad you got to finally visit the market! What a treat to have Debra as your tour guide! Thanks for showing my wreath from this past holiday season. 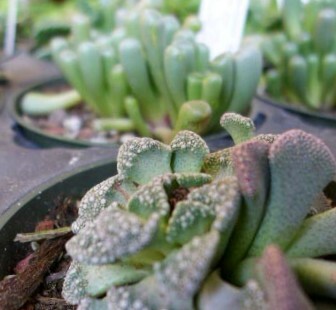 It might need a little drink, but it’s looking well and I hope more people have fun with air plats and succulents.